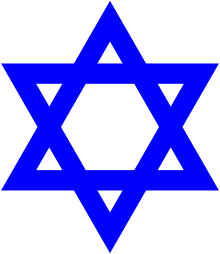 Jewish identity is the objective or subjective state of perceiving oneself as a Jew and as relating to being Jewish. Under a broader definition, Jewish identity does not depend on whether a person is regarded as a Jew by others, or by an external set of religious, or legal, or sociological norms. Jewish identity does not need to imply religious orthodoxy. Accordingly, Jewish identity can be cultural in nature. Jewish identity can involve ties to the Jewish community. Orthodox Judaism bases Jewishness on matrilineal descent. According to Jewish law (halacha), all those born of a Jewish mother are Jewish, regardless of personal beliefs or level of observance of Jewish law. Jews who are atheists may have a Jewish identity. While the absolute majority of people with this identity are of Jewish ethnicity, people of a mixed Jewish and non-Jewish background or gentiles of Jewish ancestry may still have a sense of Jewish self-identity. Jewish peoplehood, an ethnic identity composed of several subdivisions that evolved in the Diaspora. Jewish religion, observance of spiritual and ritual tenets of Judaism. Jewish culture, celebration of traditions, secular and religious alike. Jewish identity can be cultural, religious, and/or through ancestry. 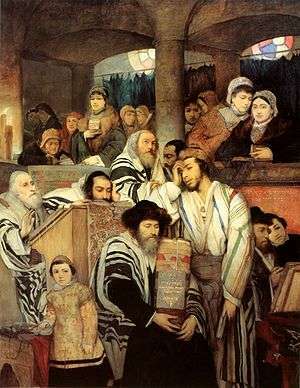 There are religious, cultural, and ancestral components to Jewish identity due to its fundamental non-proselytizing nature, as opposed to Christian or Muslim identity which are both "universal" religions in that they ascribe to the notion that their faith is meant to be spread throughout all of humanity, regardless of nationality, (and still are, though to a far lesser extent than throughout its history in the case of Christianity). However, Jewish identity is firmly intertwined with Jewish ancestry dating back to the historical Kingdom of Israel, which was largely depopulated by the Roman Empire c. first century CE, leading to what is known as today as the Jewish Diaspora. Jewish identity began to gain the attention of Jewish sociologists in the United States with the publication of Marshall Sklare's "Lakeville studies". Among other topics explored in the studies was Sklare's notion of a "good Jew". The "good Jew" was essentially an idealized form of Jewish identity as expressed by the Lakeville respondents. Today, sociological measurements of Jewish identity have become the concern of the Jewish Federations who have sponsored numerous community studies across the U.S.; policy decisions (in areas such as funding, programming, etc.) have been shaped in part due to studies on Jewish identity. According to the social-psychologist Simon Herman, antisemitism plays a part in shaping Jewish identity. This view is echoed by religious leaders such as Rabbi Jonathan Sacks who writes that modern Jewish communities and the modern Jewish identity are deeply influenced by antisemitism. ↑ Spinoza, Liberalism, and the Question of Jewish Identity. Yale University Press, 1997. ↑ Sklare, Marshall, Joseph Greenblum, and Benjamin Bernard Ringer. The Lakeville Studies. Under the Dir. of Marshall Sklare. Basic books, 1967. ↑ Sklare, Marshall. "The Image of the Good Jew in Lakeville." Observing America’s Jews. Brandeis University Press, 1993. ↑ Sheskin, Ira M. "Comparisons between local Jewish community studies and the 2000–01 National Jewish Population Survey." Contemporary Jewry 25, no. 1 (2005): 158-192. ↑ Herman, Simon N. Jewish identity: A social psychological perspective. Transaction Pub, (1989): 51. ↑ Love, Hate, and Jewish Identity, by Jonathan Sacks. First Things, November 1997. Leadel.NET - Leading Jewish Inspiration. What makes Jewish Identity on the web? HERMAN, Simon N. Jewish Identity: A Social Psychological Perspective. Transaction, 1977. GOLDBERG, David Theo & KRAUSZ, Michael. Jewish Identity. Temple University Press, 1993. Three Intellectuals and a People, by Laurent Cohen (an article about the Jewish Identity of Hannah Arendt, Gershom Scholem and Simone Weil). Eretz Acheret, 5 November 2009.